If you’re a homeowner and have been considering selling your home, real estate experts and market predictors continue to suggest that now is the time to do it! Not only are potential buyers chomping at the bit, inventory shortages continue to rise, driving up home prices — which is all great news for you! You have a plethora of buyers who are willing to bring cash offers well above the listed price. At Smiley Property Investments, we offer real estate solutions to those looking to sell! Follow along in today’s post as we explore the best time to sell and the pros and cons of doing so! It’s conventional wisdom that the sellers real estate market is in the spring and summer seasons, but some homeowners are looking for quick home sales that may not be in these seasons, so are you throwing money away doing so? So, why sell your home in the spring or summer? Warmer seasons bring out the best in most, as they’re beginning to thaw from a long, cold winter. Daylight is longer, the weather is warmer — and if you’re moving to a new state — the new school year looms. The important thing is to work with a local real estate or property investment company to help you identify the trends in your state. Home buying trends do tend to differ region-to-region both in the demand and timing of the housing market, so always check with the local real estate experts! Advantage: You’ll get a bigger, better price! In most markets, supply and demand work in the following way: more inventory means lower prices, but that’s not how the real estate market works! Instead, most homes are listed in the spring and summer, which is also when prices are the highest! It’s completely counterintuitive, but it pays to sell when the weather is nice and when the time is convenient for people to move, because who wants to move in frigid winter temperatures? 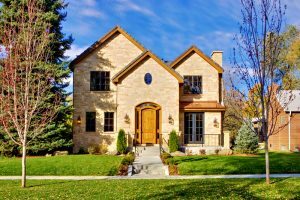 When you’re home is being appraised, they can compile what homes were selling for in the last year — so if most of them were in the spring and summer, you’ll likely get a better appraisal value. Think of the fall and winter, everything is beginning to transition and go dormant, making your outdoor space look dull, drab, and cold. In the spring and summer, your home looks phenomenal with the beautiful landscaping and longer daylight to make your home pop! When there are more houses on the market, there is more inventory for buyers to sift through, and they can also be more picky about what they want. If a home buyer wants a turn-key home, you better believe they’ll find one, so if your home needs repairs, they can simply move on. Buyers aren’t shopping under pressure, so if your home doesn’t fit their wish-list, they’ll move on to the next. While people may try and present you offers well below the listing, you can still count on motivated buyers. These buyers need to find a house and quickly, so they’re more willing to pay the asking price to secure a home. These buyers may be a needle in the haystack, but they’re out there are ready to play ball. If you list your home in the winter, it may be because you need a fast sell to relocate or as a result of a layoff. This factor brings out people who want a deal and tend to offer low-ball offers. Because there are less potential buyers, you may have to be willing to negotiate. When there are fewer homes on the real estate market, homes sell for less. To combat this effect of the market, real estate agents price homes at “winter prices” which are higher and allow for more negotiating if the occasion arises. 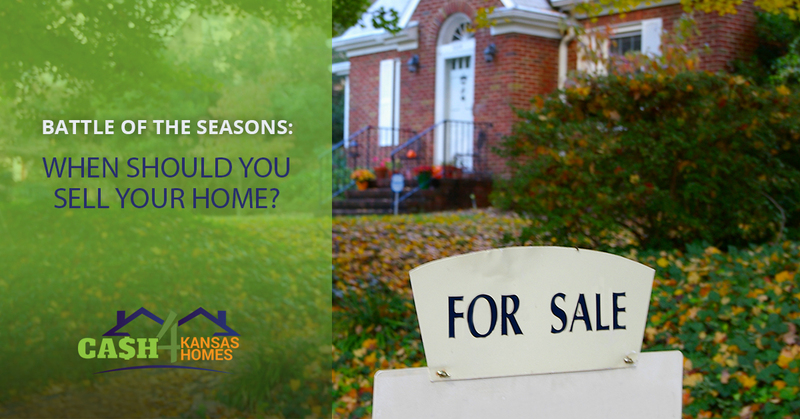 There are advantages and disadvantages to selling your home in the different seasons, but the real winner are those who sell their homes in the spring and summer. For more information on what we can do for you, connect with us at Smiley Property Investments today!